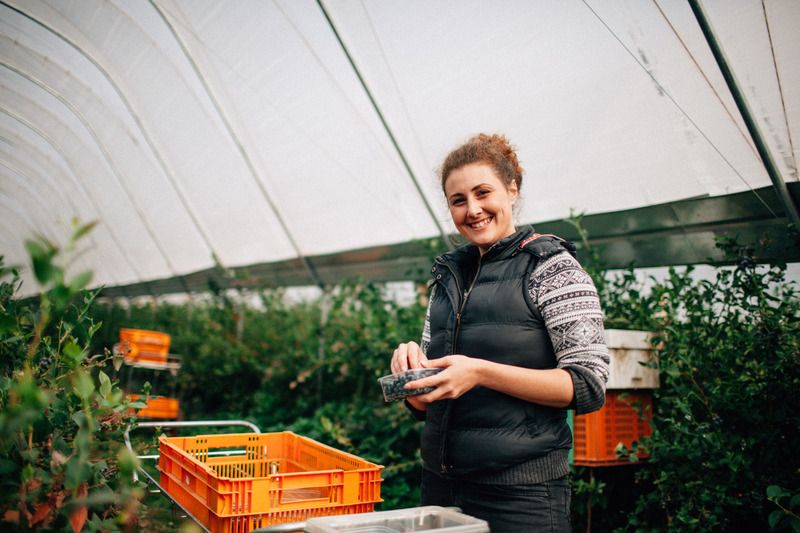 We offer hundreds of seasonal jobs each year, in harvesting, picking, grading and packing. See below for more information about our jobs. 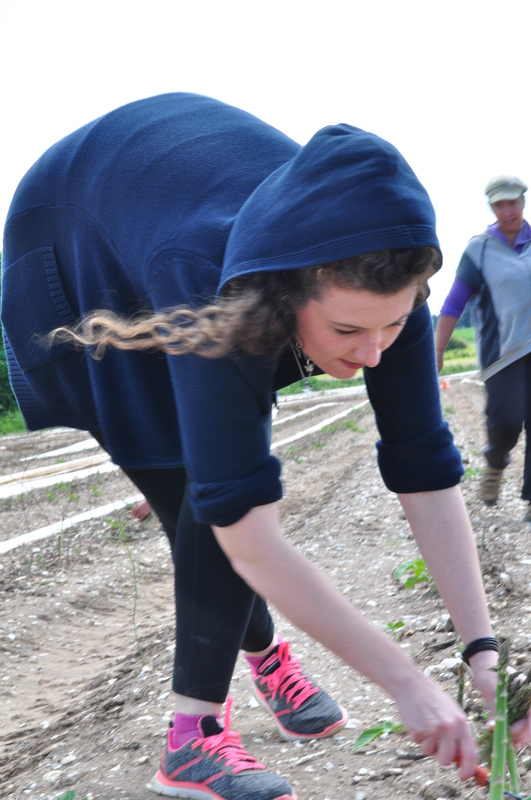 The work at Cobrey Farms is challenging, but fun and rewarding at the same time. As teamwork is always required, staff often make friends for life. You will also have the opportunity to work with many people from other countries and cultures. You will need to be flexible in regards to your working hours, as you may be required to work early mornings and late nights; this is not your usual 9 to 5 job. 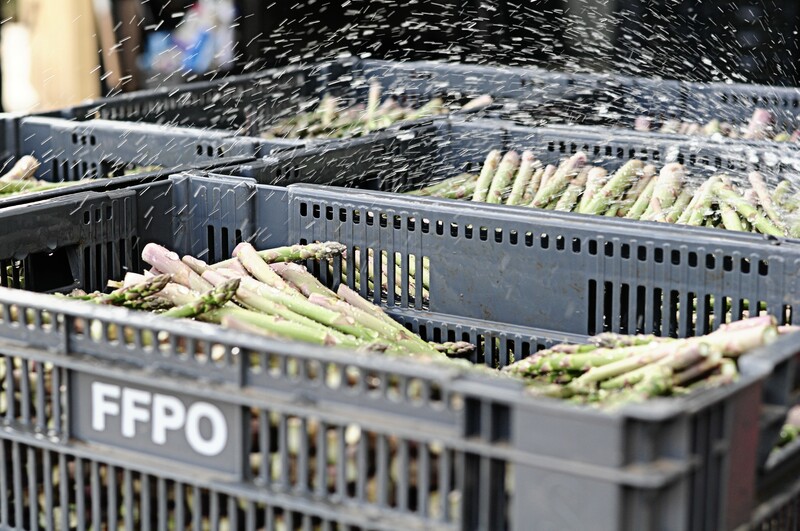 The pre-season work (Jan, Feb & March) involves preparing the fields for the asparagus harvest. Every aspect of the job role is based outdoors in the field, and staff are required to work in all weather conditions. 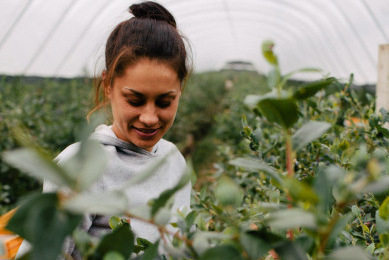 Typical jobs include putting polythene and hoops onto asparagus fields, building Spanish tunnels, pruning blueberries and vines, and harvesting rhubarb. 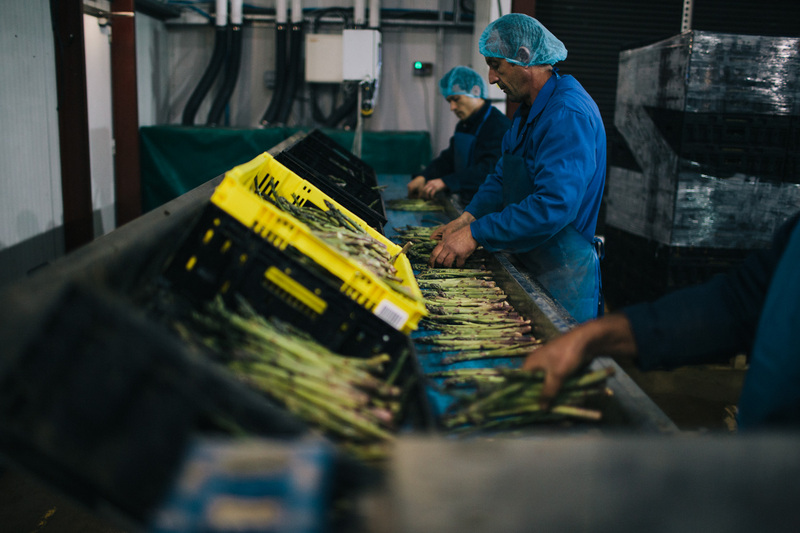 The harvest work involves working as a team in a field environment, cutting and collecting asparagus. Part of the harvest work will be based on our satellite sites in Suffolk and Norfolk. Both the pre-season and harvest work require a physically fit person, capable of bending, walking, lifting and working as a team to ensure the job is completed efficiently and to a high standard. 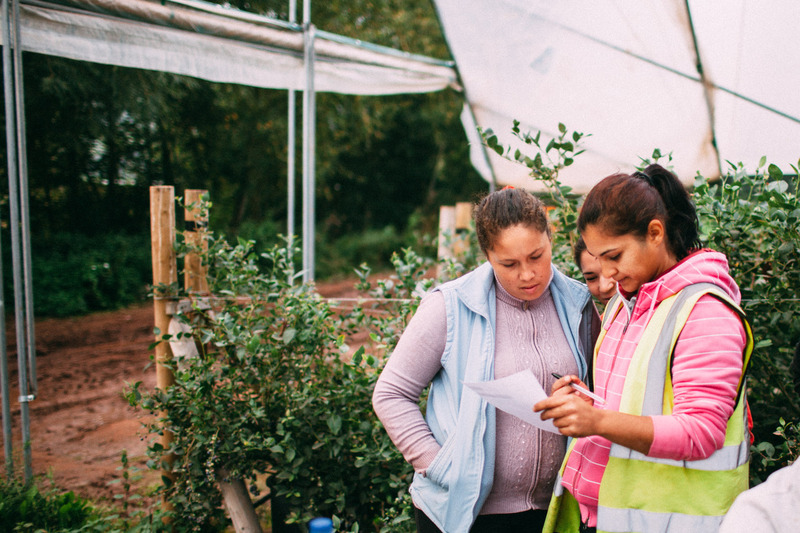 Some staff will be allocated work on the sites before arriving at Cobrey Farms and others will have the opportunity to indicate at induction where they would like to work. Working in the Packhouse includes duties such as washing, grading and packing. Staff will be assigned to a specific area and trained in specific tasks. 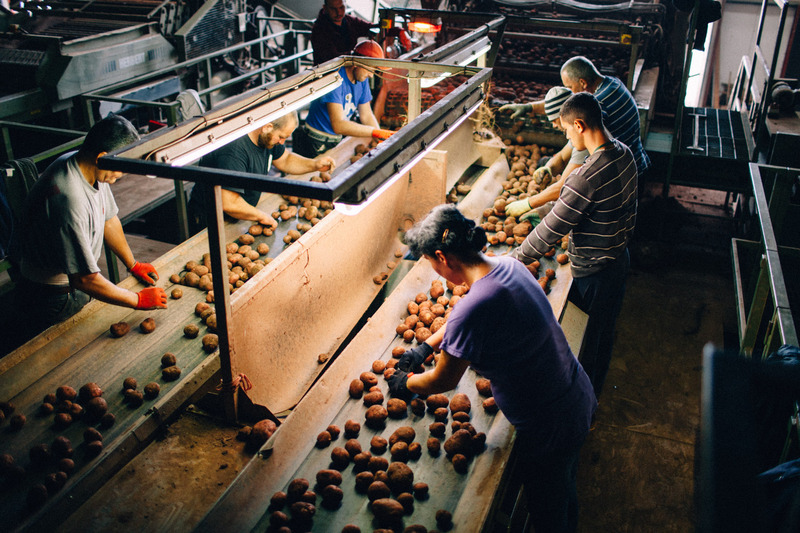 During peak season, the Packhouse will run 24 hours a day and employees will work on a shift basis. Again, a physically fit person will be required for this job. Allocation of areas and tasks will take place at first induction, therefore, be prepared to work both in the Packhouse and in the field. When starting at Cobrey, please ensure you brief us about your previous jobs / skills so that we can match them to the work that will be assigned to you. You will normally be required to work a five or six day week. We aim to allocate between 40-48 hours per week per person but this will be weather and crop dependent. The hourly rate for employees is between £7.38 and £7.83 per hour, which is in line with the UK National Minimum and Living Wage. If overtime is required, we pay a rate of between £9.23 and £9.79 per hour. In regards to holiday, this will be accrued and can be paid during employment or at the end of your contract. You will be paid each week in arrears (on a Wednesday), directly into your UK bank account or onto a One Pay card, which we can help you obtain. You must have an active email address, as we will often send payslips and important information to this address. Inductions will take place on arrival at Cobrey farms; important information will be provided such as as health and safety regulations, campsite rules, job specification and advice on how to be successful in your job role. A supervisor will work alongside you on your first day to assist and help where necessary. Full guidance will be given when you’re asked to carry out different tasks. Training courses will be available and we will notify you in advance as to how and when you can attend. In regards to promotion opportunities, those that show aptitude, ability and good communication skills will be considered. It is important that you communicate with us in regards to any areas you may be interested in working in, as we will do our best to match your requirements to specific job roles.